Today, the Magnetic Resonance Imaging — or MRI — medical scanner is almost taken for granted. But getting from idea to amazing diagnostic tool was a long road. Atomic physicist Norman Ramsey (Honorary Unsubscribe, 6 November 2011) figured out how to control the flow of atoms through a magnetic field, which enable MRIs to work without the potential damage of X-rays. 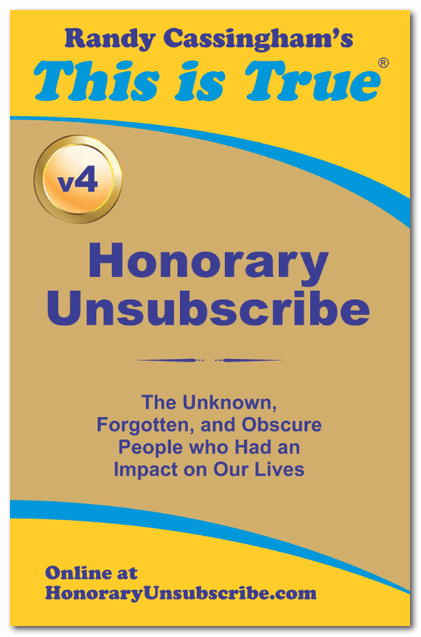 Chemist Paul Lauterbur (Honorary Unsubscribe, Volume 4) had a flash of inspiration to apply nuclear magnetic resonance to see inside the human body. And there were certainly more. Including Mansfield. Mansfield (in coat and tie) testing out the first full-body MRI scanner. As a teen, a teacher told Mansfield that he was not suited for science, so he became a printer’s assistant. After serving in the British Army, Mansfield, with an interest in rocketry, was accepted to study physics at Queen Mary College, London, where he showed exceptional interest in nuclear magnetic resonance. In the 1970s, he learned of the breakthrough by Paul Lauterbur in the U.S., and Mansfield made his major contribution to the MRI concept: selecting “slices” from the scans, and then using mathematical analysis to turn the signals from the machine into a viewable image. 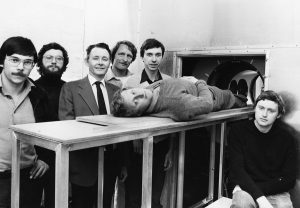 In 1978, Mansfield became the first person to go inside a full-body MRI scanner to test it on a human. The combination of the two men’s work was so profound and visionary, Mansfield and Lauterbur shared the 2003 Nobel Prize in medicine for making MRIs work. “Few people can look back on a career and conclude that they have changed the world,” says David Greenaway, vice chancellor of the University of Nottingham, where Mansfield worked. “In pioneering MRI, that is exactly what Sir Peter Mansfield has done.” Not bad for a kid who wasn’t “suited” for science. Mansfield died February 8, at 83.